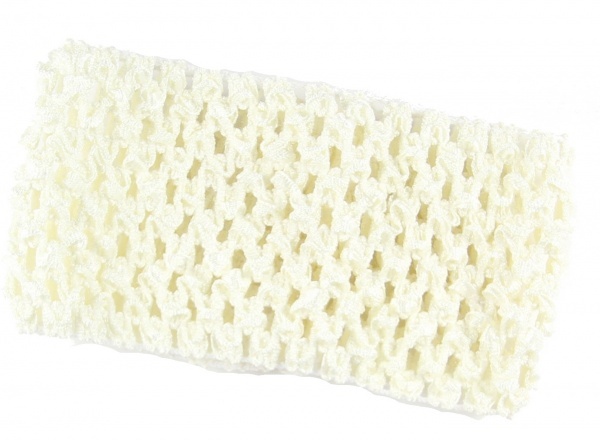 Ivory Crochet Headband is 2.75 inches wide. 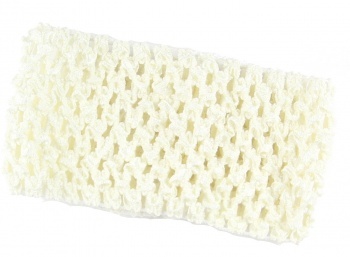 This fits infants and little girl's head. This Ivory will shimmer in her hair. Wear it alone or add on any of the daisy flowers or 411 topper bow series that are on alligator clips.